At Oakfield we now use the CPA (concrete, pictorial, abstract) approach to learning Mathematics. This core practice is used in Singapore, who rank in the top three internationally in Education according to data released by the Organisation for Economic Co-operation and Development (OECD). The UK are currently ranked 26th in Maths. The Singapore method begins by allowing children to start learning about maths by playing with real objects, blocks or pictures. They build confidence with the basic ideas of adding and taking away. There is then a second stage of drawing pictures representing the objects. And only later do they gradually start to add numbers to their drawings. 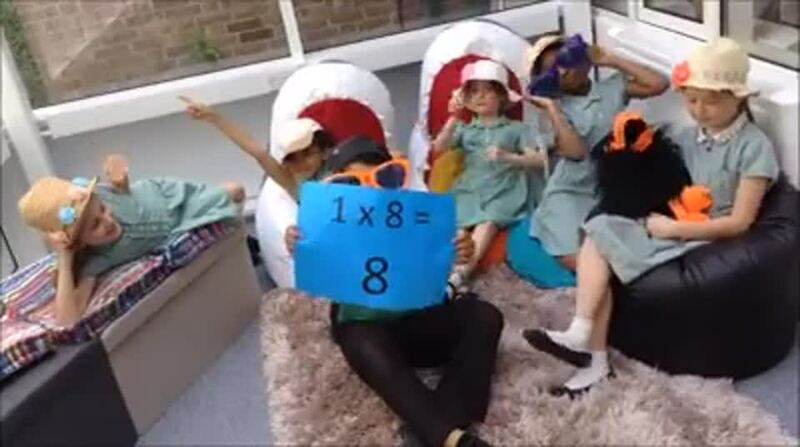 In education systems in the UK, pre-school children are often introduced to maths and to number symbols at the same time. But number symbols like 5 or 10 as well as symbols like + or - are often difficult for children to understand. And if they are introduced too quickly, there is a risk that young children will struggle and from then on never fully recover their confidence in maths. Failing repeated tests on symbolic sums at school only deepens their anxiety and they soon learn that maths is not for them. The Singapore method goes more gradually - from handling 'concrete' things, to drawing one-to-one 'pictorial' iconic representations of them, to eventually understanding and using the mysterious 'abstract' symbols with confidence. The pedagogy is embedded into the Singapore (Maths No Problem) guidebooks and textbooks. The scheme gives step-by-step support to teachers showing clear progression with the use of materials and pictures to guide learning that is secure. This scheme of work has allowed for the pitch and expectations to be at or higher than national expectation for each year group. We began the scheme with Y1 and Y2 in September 2014. Already we are seeing positive results in pupil confidence in Number and place value and growing understanding of word problems. Currently, all classes from Y1 to Y5 are taught maths through the CPA Singapore approach. A core principal in this scheme and in our Mathematics curriculum emphasises mastery. Objects, pictures and words are everywhere. We use these to help pupils explore maths and understand the role it plays in their lives. We also ask that pupils always explain maths in full sentences – not just what the answer is, but how they know it’s the right answer. Our scheme of work now ensures that pupils understand basic concepts thoroughly and then builds on these skills throughout the year so that they gain a cumulative knowledge. We spend longer on topics so that pupils become fluent in them. Problem-solving is becoming more integrated throughout every lesson. They represent concepts using ‘bar models’, objects and pictures, and by making connections between different representations. This gives them the confidence, resilience and ability to tackle any problem rather than repeating routines without grasping the principles.